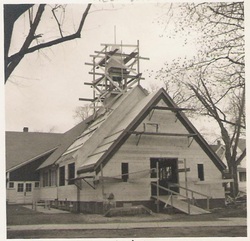 By 1951, the parish had 569 members. Its Church School enrollment listed 194 pupils and 20 officers and teachers. Church organizations included St. John's Guild, the Altar Guild, Order of Sir Galahad, Acolytes' Guild, the Couples' Club, the Choir, the Junior Choir, St. John's League, Fleur de Lis, Young People's Fellowship and the Episcopal Men's Club. Annual highlights from 1951 included the autumn Parish Fair in which every organization participated and the Church School family picnic held in June. A major event took place in 1954. The Church of our Saviour in Cliftondale joined with St. Johns. Until this time Saugus had two Episcopal Churches. The Rev. 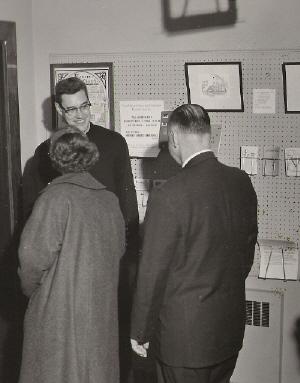 Donald W. Noseworthy, (see left) a native of St. John New Brunswick Canada, served as rector from 1950 to 1961. This was a time of great growth in the church. Our picture archives with Rev. Noseworthy attest to this. This was also the time when the church was enlarged along with the addition of a chapel, youth rooms, sacristy and a remodeled kitchen. 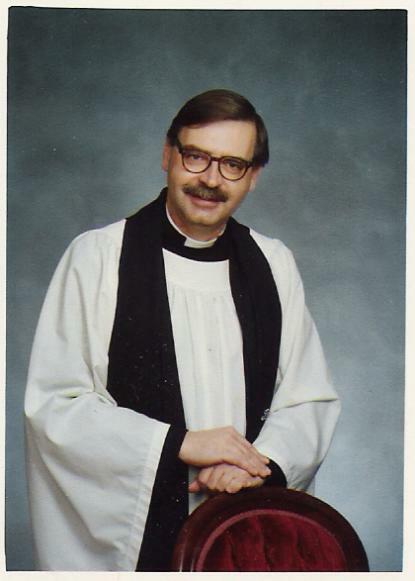 In 1961 Rev. Noseworthy resigned to start a mission church in Wayland, MA. The Rev. Stephen Austill served as rector from 1961 until 1970. The vestry called the Rev. John Kirkman in 1970 who served until 1973. During his tenure, a new rectory was built across the street from the church. The Rev. 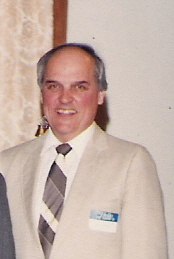 Roger Nelson was called in 1973 and served until his retirement in 2003. During his tenure he focused on the youth of the parish, lead the EYC for many years, and was very active in ecumenical and outreach ministries.